Sweatshirt by MARGITTES with long sleeves. Uncomplicated and wonderfully comfortable in soft, super-stretch sweatshirt material. 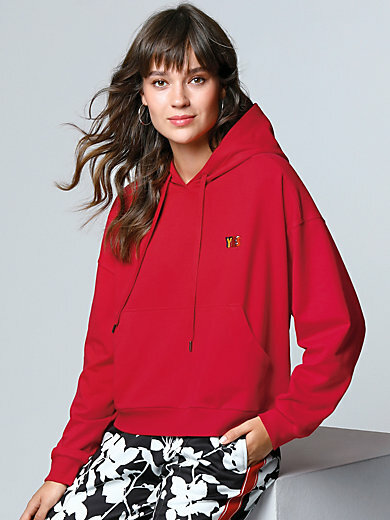 This radiant red hoodie with kangaroo pockets looks strikingly new and fashionable. The hood has a drawstring, and there is a small patch on the front. 92% cotton, 8% elastane. Length approx. 23ins. The sweatshirt is machine washable.